There is nothing better than a good camping or hiking trip, but when it comes to making meals, often a lot of planning and logistics is involved. 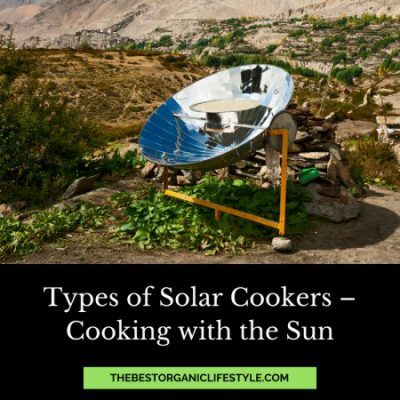 By using a portable solar cooker, you can easily create delicious and nutritious meals using only the power of the sun without the need for gas or electricity. They reduce carbon monoxide emissions and maintain better air quality. Perfect for taking to beaches or parks where lit fires are banned. They use a free and clean source of energy. They do not contribute to power or fuel costs. There is no danger of food being contaminated with fuel or gas flavors. Food retains moisture and softness if cooked in the required time. You can teach kids about cooking, without the risk of fire or burning. While there are now some great portable models on the market, our best choice for 2018 is the Go Sun Sport. This great product is ideal for taking with you anywhere you want to cook whether it’s your backyard, a park or halfway up a mountain. 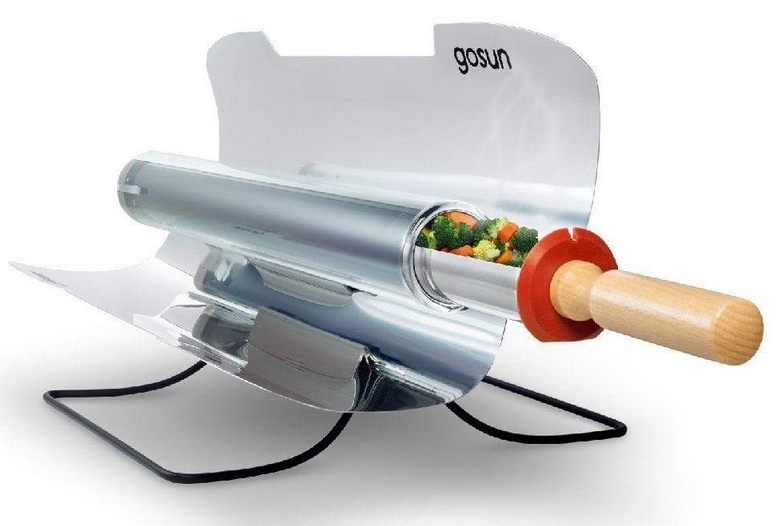 The Go Sun Sport is a smaller member of the Go Sun solar cooker family and is easy to transport due to being compact and lightweight. Food is placed into an insulator-acting vacuum tube which converts 80% of the sun’s rays drawn from the parabolic reflectors into usable heat. The cooking chamber can get as hot as 550 degrees F, just like your regular kitchen oven at home. Cooking with the Go Sun Sport is really easy, all you need to do is line up the device pointing at the sun (instructions included in the user manual), load the cooking chamber with food, set a timer, then sit back and enjoy your book or go for a swim while you wait. User’s manual: It’s a good idea to read this thoroughly to understand about best use. Starter cooking booklet: This gives you basic strategies for cooking different kinds of dishes. Many reviewers of the Go Sun Sport say that suggested cooking times are as indicated, and they rarely have to wait longer than recommended, even in -30 degrees. Users have been able to successfully make all kinds of dishes including cookies, fried chicken, breads, hot dogs, omelettes and roasted vegetables so it really is just like having your home oven with you while exploring the great outdoors. 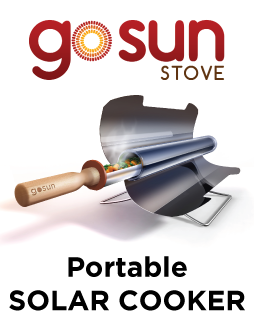 Solar cooking is not only restricted to cooking on land as Go Sun have created the Go Sun Sport with Marine Clamp which can be attached to your boat. This means that you can enjoy solar cooking when you have a day out on the water or even a week long marine holiday. You can also attach the Go Sun Sport to your RV, so you don’t need to create unnecessary heat indoors when you can do all the cooking outside. The Go Sun Sport is an excellent portable solar cooker, perfect for taking on hiking or camping trips as well as picnics, plus you can still use it in your backyard when you’re at home. It’s fast and versatile and you can create so many delicious meals just like you were in your home kitchen. The Go Sun Sport Pro Pack has some great additions for safe and convenient traveling, and with the Go Sun Sport Marine Clamp you can have fuel-free meals whether you’re on the road or out at sea for periods of time. While you can only prepare one or two servings a time, this is sufficient for couples who travel together, and you can always plan your cooking for a family group accordingly. With all of these great options, there is really no excuse not to make use of our greatest energy resource (the sun) and enjoy nutritious and varied meals wherever you are with a Go Sun Sport. Have you used the Go Sun Sport while in the great outdoors? We’d love to hear your experience in the comments below.